Adam Cvijanovic’s paintings demand a re-consideration of space; the space we occupy as viewers and the spaces that he creates within his works. His ‘colossal murals’ are configured as imagined otherworldly contexts yet still feel oddly familiar. Cvijanovic paints directly onto Tyvek surfaces, an extremely thin and durable plastic sheeting, that gives him the freedom to work very large, and to create paintings that envelope and create new space. He depicts scenes that combine content and contexts that exist both in and beyond our physical world—walls, outer space, ocean waters, etc., and maintains their presence and read as painted surfaces. His works are less about hiding information or an attempt to fool the viewer than they are about expressing the limitations of paint media to create alternate versions of space. Adam Cvijanovic, Stardust, 2010. Image courtesy of the artist. 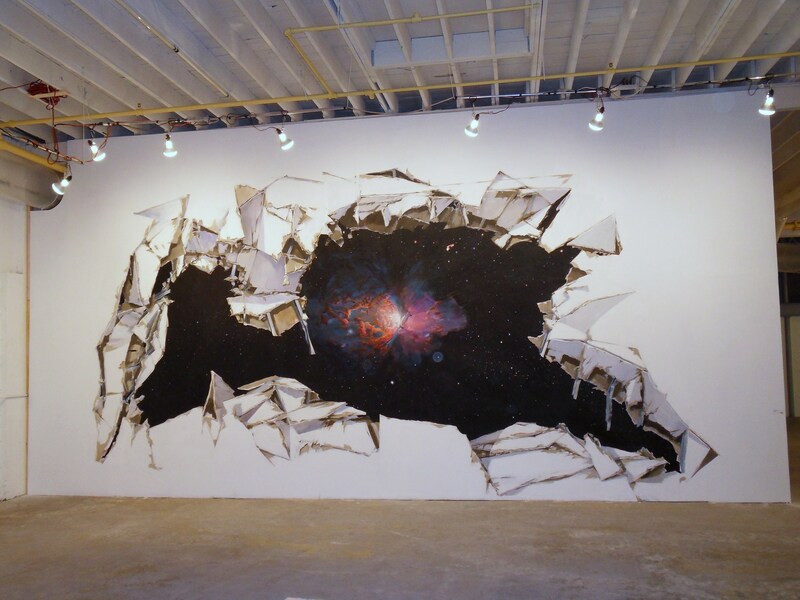 In Stardust, 2010, Cvijanovic has made an expansive rendering of a hole blown out of a wall that looks out into space. He enhances a realist effect by depicting exposed ripped sheetrock and splintered beams from the imaginary blast in a trompe l’oeil manner. The hole in the wall is so convincing as a three-dimensional element of the wall that it acts as an intermediary, making whatever lies beyond its location believable, if only for a moment. In many of his earlier installations, Cvijanovic extended the paint to the very edges of the Tyvek surfaces in order to evoke an immersive space. Stardust is based on images of the Orion nebula, which exists just south of Orion’s Belt in the constellation of Orion in space. Cvijanovic provides viewers with a glimpse of something they can only see through a telescope or in photographs, yet makes the space seem real enough to walk right into. In Stardust the painted illusion of a blowout in the wall’s surface draws our attention beyond the boundaries of the gallery walls. For Sailor, 2011, Cvijanovic abandons the wall altogether by stretching painted Tyvek sheets around a geometric form. 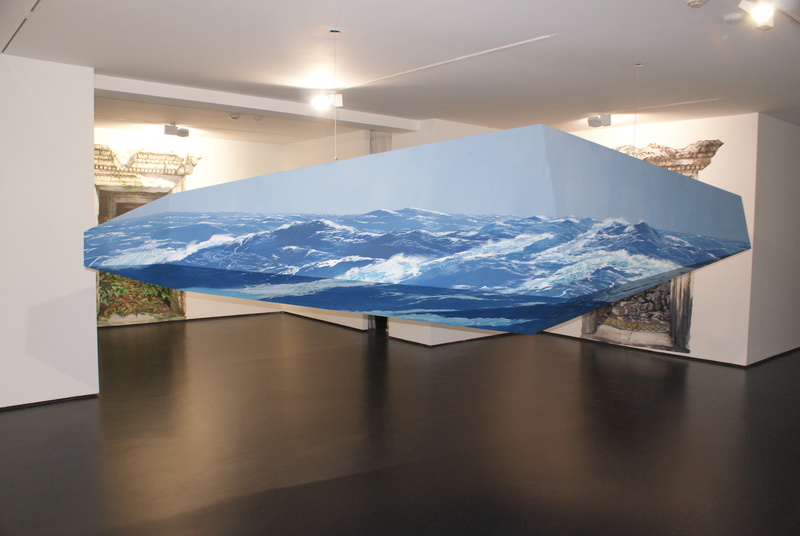 He has painted the suspended object with a realistic rendering of a bright blue ocean and sky scene. Here Cvijanovic pulls the experience into three-dimensional space as well as beyond the gallery walls. Cvijanovic’s painting installations give viewers a universal experience of interacting with space(s) on varying planes, and ultimately continue to question where its boundaries begin and end. Adam Cvijanovic, Sailor, 2011. Image courtesy of the artist. Kalin Allen is an MFA painting candidate at the Savannah College of Art and Design. She has been awarded the Elizabeth Foundation for the Arts studio space in NYC for Winter 2013. In addition, she is co-founder and writer for the art blog foconow.com. She currently lives and works in Savannah, GA. 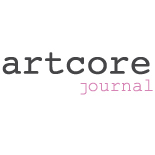 This entry was posted on June 15, 2012 by artcore journal in Volume 1, Issue 1: Northeast and tagged Adam Cvijanovic, art, artist projects, biennial sydney, installation, Issue 1 Vol. 1 Northeast, new york.